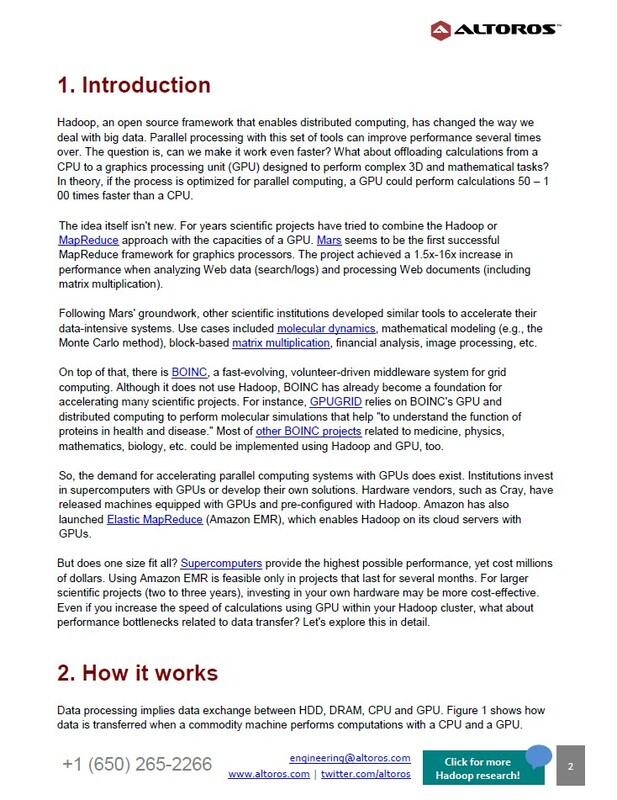 Home page » Research papers » Hadoop + GPU: Boost Performance of Your Big Data Project by 50x-200x? 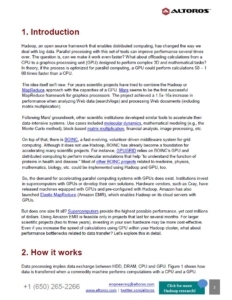 Hadoop + GPU: Boost Performance of Your Big Data Project by 50x-200x? This tech study explores the bottlenecks when offloading Hadoop calculations from a CPU to a GPU and suggests what libraries / frameworks to use. Hadoop has changed the way we deal with big data, helping to improve performance by times. The question is, can we make it work even faster? What about offloading calculations from a CPU to a GPU—designed to perform complex mathematical tasks? In theory, a GPU could perform calculations 50–100 times faster than a CPU. This paper explores the idea in detail, providing an overview of performance bottlenecks and suggesting the tools to use.